220 volt, 6 batteries charged by: engine, shore power, generator 2000 W Victron Inverter. Xantrex battery monitoring. Saloon converts to one double and one single berth. Spare anchor and rode stored in lazarette. All bilge pumps are automatic. 3 X Handheld fire extinguishers. 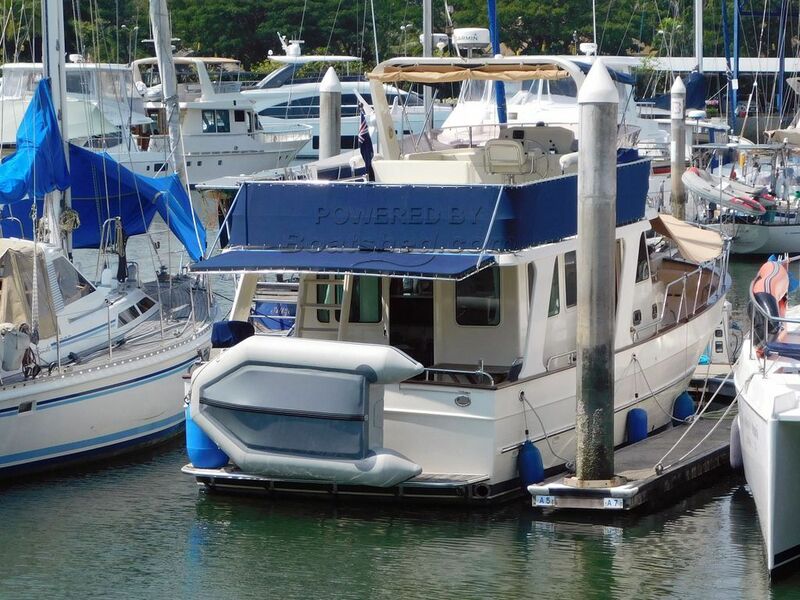 An immaculately presented and well maintained Trawler Yacht at a realistic price. Last slipped Nov 2018. This Clipper 40 Europa Trawler Yacht has been personally photographed and viewed by Alan Giles of Boatshed Phuket. Click here for contact details.